What is TIFF (Tagged Image File Format)? 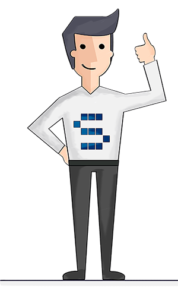 Startseite » Service & Support » Glossary » What is TIFF? We explain what TIFF can and can’t do! TIFF (TIF for short) was for a long time the leader among lossless file formats for digital archiving of images and graphics. The TIFF format was first developed by Aldus Corporation in 1986. Restricted to pure raster display and at best grayscales, it was increasingly superseded by PDF/A. What TIFF (abbreviation for Tagged Image File Format) is used for and where the limitations lie is explained below. TIFF is limited to the use of raster data for the representation of all objects. Vector or text information is also rasterized before it is encoded in TIFF. In contrast to other graphic formats such as JPEG, TIFF has an alpha channel which, in addition to the color information, can also store the transparency of individual pixels. The advantage of this method is the simple and therefore fast compression and decompression of such files with lossless quality. This is why the TIFF format is primarily used on the web to provide high-quality graphics for printing without losses. The much higher amount of data compared to the JPEG format is basically accepted. However, there are a variety of possible compression methods, so that not every software supports all types of compression and many users therefore deviate from the TIFF format. In addition, TIFF is limited to 4 GBytes of data and is not streaming-enabled, as it allows recourse to data that lies before the currently interpreted position in the data stream. Some compression methods such as G3 (fax format) and G4 (most important format for archiving) are limited to black and white files. There are also compression methods for grayscale and color files: LZW, run lengths, JPEG. 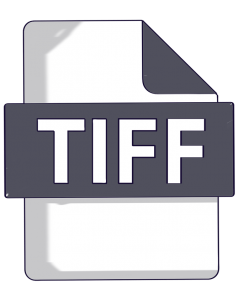 In this respect, TIFF is particularly suitable for lossless archiving thanks to the storage of color information. But there are also more suitable compression methods for this, so that TIFF could never prevail for color. TIFF is internationally standardized: The current standard is based on version 6 from 1992 – therefore it is also called TIFF 6. The version number is often mixed up with the corresponding entry no. 6 in the table of possible compression methods. Adobe has owned the TIFF standard since 1994. Due to the inactivity during further developments of the standard, a parallel standard emerged which includes more modern compression methods. In particular, the use of lossy JPEG is problematic. The first approach in TIFF 6 (separation of image data and tables as tags) did not prevail and was replaced by the JFIF form (JPEG File Interchange Format). Purists speak unofficially of a compression version 7. Besides PDF and EPS, the TIFF format is one of the most important file formats for the transmission of print data. TIFF files are used for example in technical areas: The ATA standard from aircraft construction places detailed requirements on the permitted values of the tags. Similar to PDF/A, an attempt was made to make the interpretation of TIFF unambiguous through additional requirements and restrictions. Each page of a TIFF file is formed by tags (e.g., compression type, resolution, color information, software, etc.) and image data. The architecture (byte ordering) of the file format is defined by two characters at the beginning of the file. The TIFF standard allows the use of proprietary tags. However, their use should be registered with Adobe. There are examples of redlining information in the tags that can only be displayed by a particular viewing tool. Since the TIFF compression methods G4, LZW and restricted JPEG can also be used in PDF, a conversion to PDF is usually easy, but offers no advantage, apart from the uniform use of Acrobat Reader for PDF and TIFF. Editing with OCR software can recover large amounts of text and save it in PDF as real text information.